In a few days’ time, Amanda Knox will lose her appeal against the conviction for the murder of Meredith Kercher. This will come as a surprise to many people. The fact that I’m asserting it in advance as a certainty may also seem surprising to many. Some will have read her book, and been convinced of her innocence by it. Some will dislike or distrust the foreign legal system of Italy; slow and ponderous, but which finds far fewer people guilty than the US equivalent. Many will have been exposed to the “no evidence” line promoted by her expensive, extensive PR campaign and parrotted by a lot of incredibly biased and misleading media coverage. Most of all, many simply don’t want to believe that an attractive white American girl is capable of murder. So what have I read that makes me so certain? The judges’ reports, which detail a wide-ranging and convincing body of evidence. These are a particular advantage of the Italian system, not existing in the US or UK. I’ve also read the reports of the only two American journalists who sat through the whole trial. Both fluent in Italian so able to understand all that was being said; both were convinced of her guilt. True, I’ve also looked at the main websites run by unpaid volunteers aimed at letting the truth be known – they translated the judges’ reports. I’ve also, for what it’s worth, browsed the main website proclaiming her innocence, which solicits money for what it does. But it’s those judges’ reports, boring, long-winded and legalese-laden, ‘bad writing’ if you will, but highly insightful, which really tell the story. Why she was convicted, then erroneously freed on appeal, why that appeal was annulled for illogicality and for not following correct legal procedure and another ordered. As can happen in Canada and various other jurisdictions too. That’s the re-run appeal that’s about to be decided, not a double jeopardy retrial as a lot of the media have claimed. And why that appeal, following the scope of what the Italian Supreme Court ordered, will confirm her guilt. If you’re still not convinced, you could also take a hard, dispassionate look at what Amanda Knox herself has said over the years. There are many contradictions in her court testimony, her written statements, her own book, her interviews. Most recently, she finally admitted to having undertaken a ‘prank’ involving a staged burglary in Seattle something her supporters had always denied, a staged burglary being one of the elements of the Italian case. In a nutshell, what happened was an immature, narcissistic girl and her disturbed, knife-loving boyfriend (Raffaelle Sollecito – not being American or female, much less is written about him) decided to play a nasty prank on her housemate. On the way, they hooked up with a drug-dealing acquaintance, Rudy Guede. It all ended in a painful slow death for Meredith Kercher. No conspiracy of Italian judges, police, experts and witnesses, no satanic rituals, no ‘made-up’ or ‘non-existent’ evidence, just real, abundant evidence of a group assault which escalated into murder. 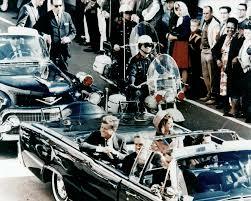 For me, there are quite a few parallels with the 1963 Kennedy assassination. Like many people I first got interested in it when watching the film JFK. It’s a highly enjoyable movie, and part of the entertainment value is not just that it portrays a conspiracy, it piles on strands of all kinds of different conspiracy theories, misinformation and wild speculation. What seems to matter most in the film – and in the minds of many people – is not the truth of what actually happened but the fact there ‘had to be’ a conspiracy. Any conspiracy. Of course, a conspiracy is much more entertaining. It fits with a desire to see those in positions of power humbled. It’s exciting – especially if we get to play armchair detective and believe we uncover ‘evidence’ others have overlooked. Over 2,000 books have been written, nearly all of them positing some kind of conspiracy. According to an article recently published by Vincent Bugliosi, a total of 42 groups, 82 assassins and 214 people have been accused of being responsible for the death of JFK. If not all, then the vast majority of them must be wrong – all those seemingly convincing details in the books coincidental or irrelevant at best, if not highly speculative, ridiculous or fabricated. A look at the Amazon reviews shows that as with the film, what matters to most readers is that there was some kind of a conspiracy. Does one theory suddenly look wobbly when actual evidence or common sense is applied? Never mind – try another book, pick another conspiracy! A great man just could not have been felled by a single assassin. Just as an ordinary girl couldn’t have been killed by her erstwhile friend in a drug-ridden vicious group assault. Just as with the Italian proceedings, there’s an official written finding for the JFK assassination – the Warren Report. Incomplete and boring though it may be, it still managed to get the key facts right. Like the Kercher case, there’s more than enough evidence for a conviction. As with the Kercher case, there was a flawed official review some time later. Based on a single piece of ‘evidence’, later widely discredited, it found a conspiracy likely. Then, when Knox and Sollecito have their appeals dismissed in ten days or so, it’ll be easy to see why. Easier too, to take a lot of the inevitable outcry from certain quarters with a very large pinch of salt. And as the pair face re-arrest or start a life on the run, while their accomplice, who sensibly opted for a fast track trial which gave him a reduced sentence, looks forward to freedom soon, perhaps they’ll reflect on what could have been. What they and their supporters might have said, read – and written – differently. This entry was posted in Parallels in writing and tagged Amanda Knox, good and bad writing, JFK assassination. Bookmark the permalink.